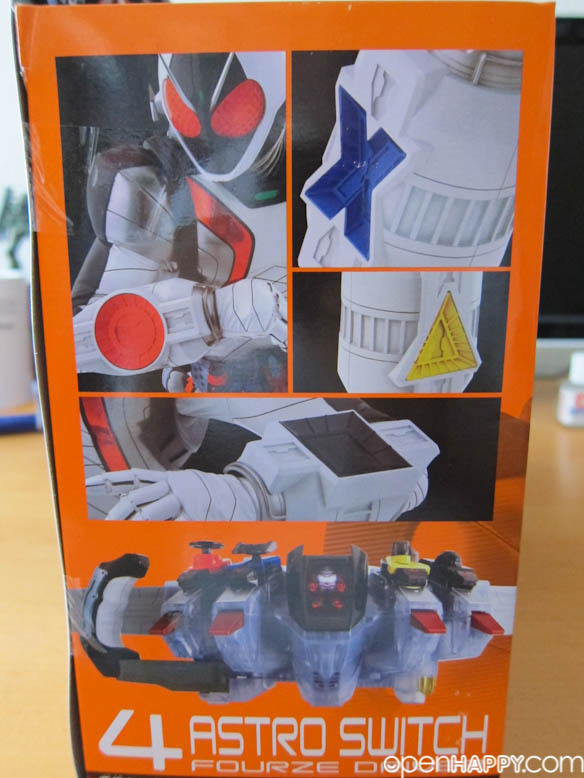 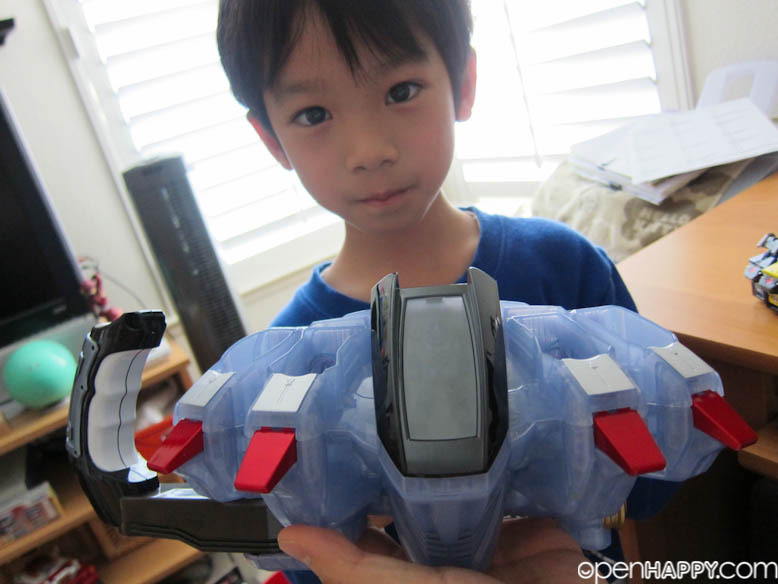 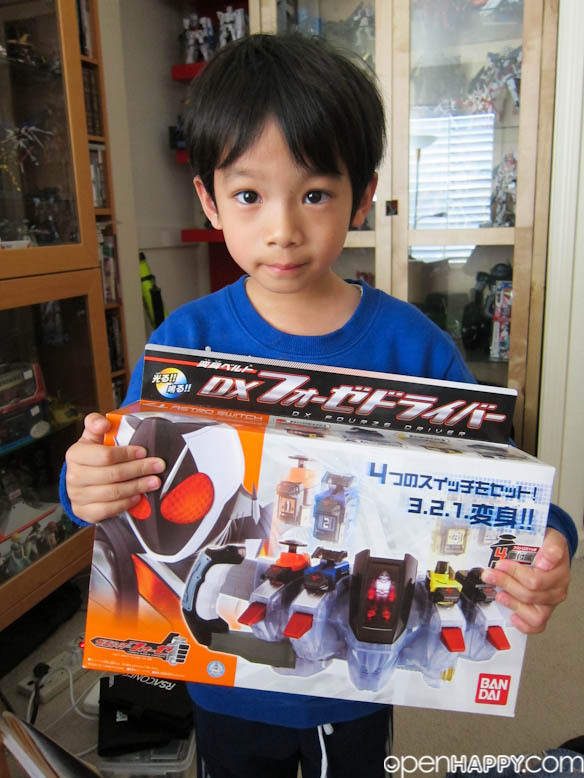 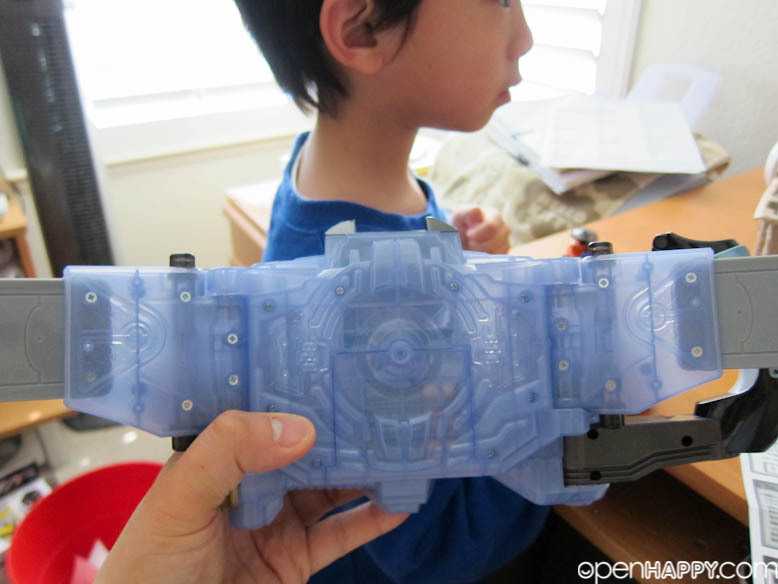 The "driver" or transformation belt is always the main item in Bandai's product lineup for any of the Kamen Rider shows, and Fourze is no exception! 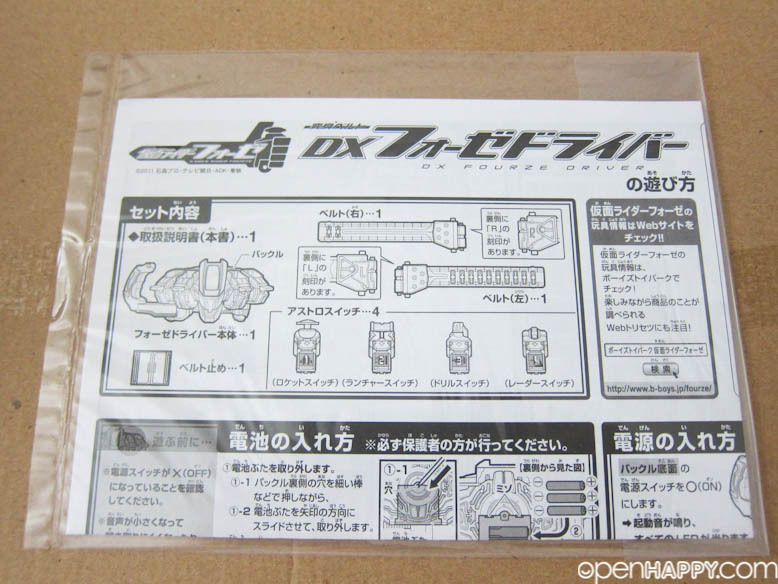 Bandai will eventually release a total of 40 "Astro Switches" and all of them produce different effects when mounted into this belt! 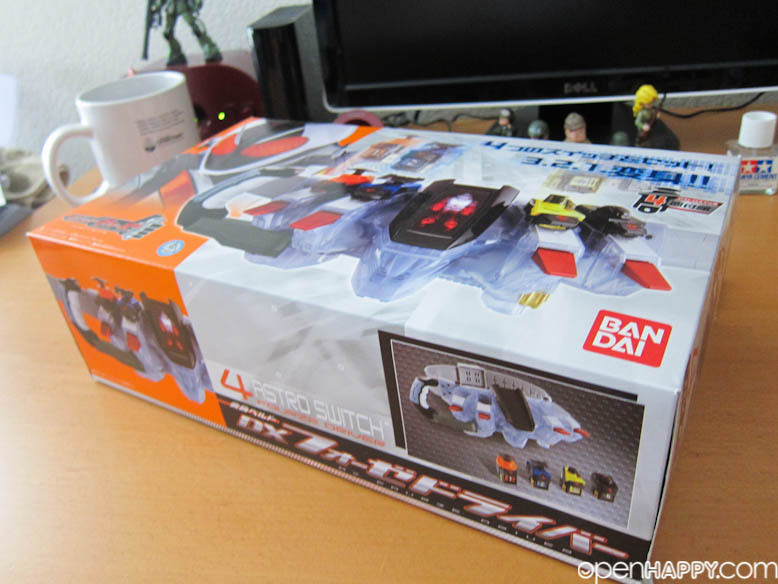 The belt unit has four built-in switches in addition to mounts for four Astro Switches. 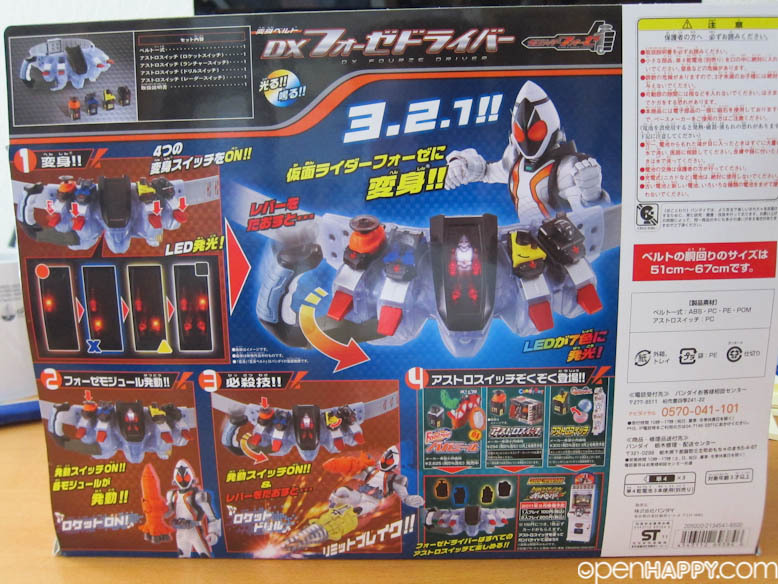 Flipping the four built-in switches followed by moving the main lever triggers the standard "henshin" sequence. 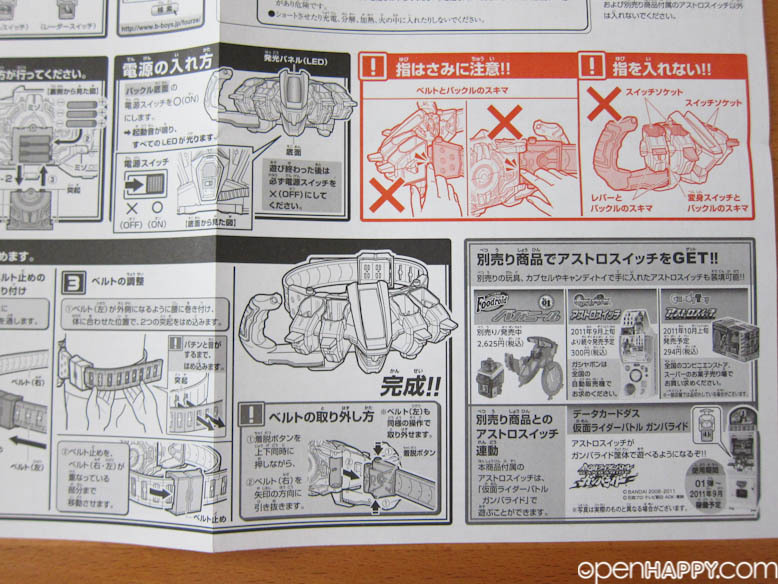 Operating the Astro Switches in the belt activates various power-up functions, such as his rocket weapon, drill, radar and more. 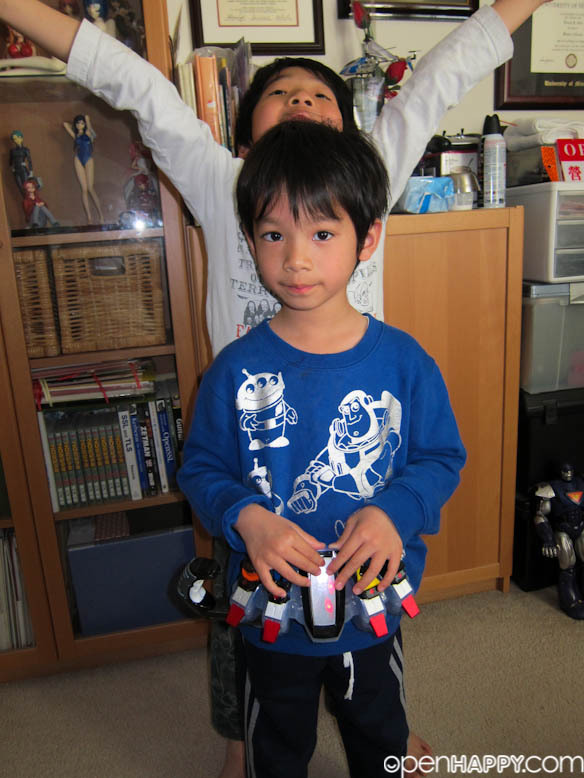 Combing an Astro Switch with the main lever triggers his super attacks. 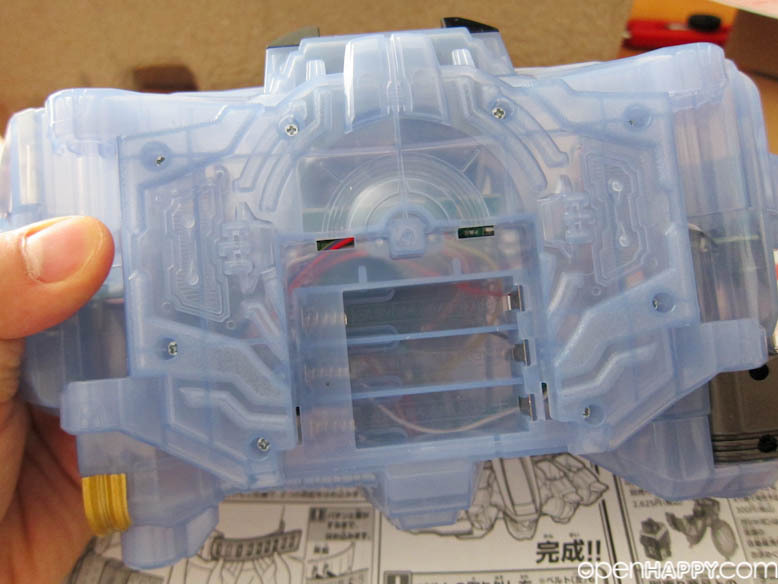 All these effects of course generate sound and light-up effects (on the belt's center panel). 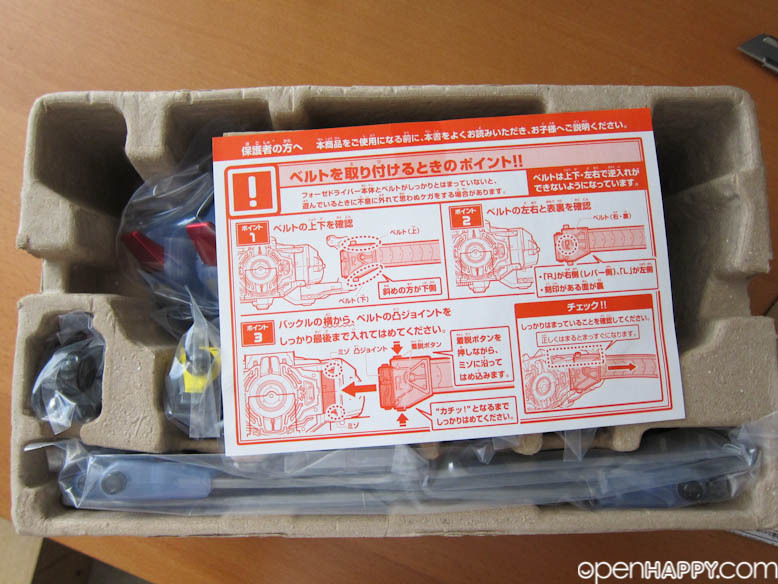 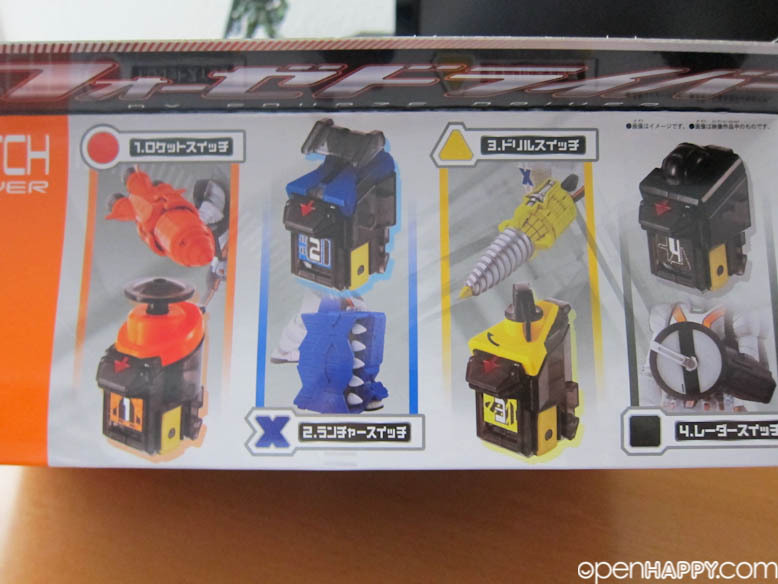 This set comes with the belt unit and four Astro Switches (#01--04; Rocket, Launcher, Drill and Radar). 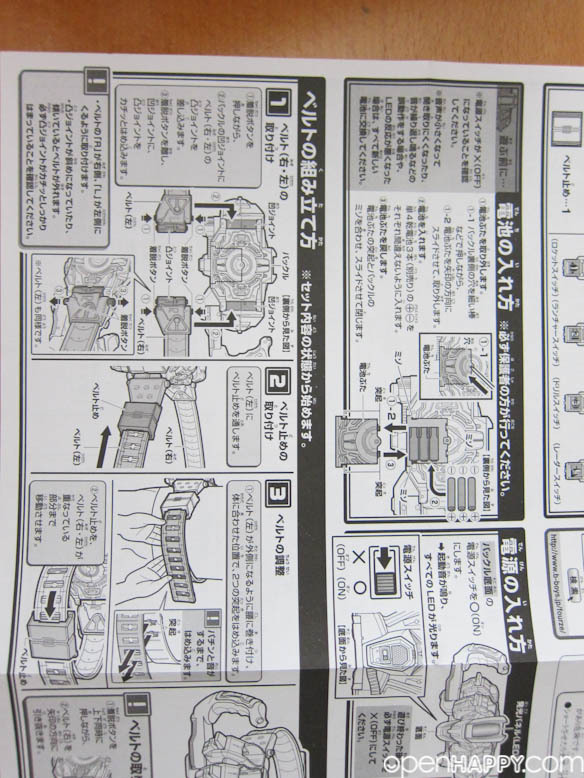 Belt fits waist sizes from 51cm to 67cm. 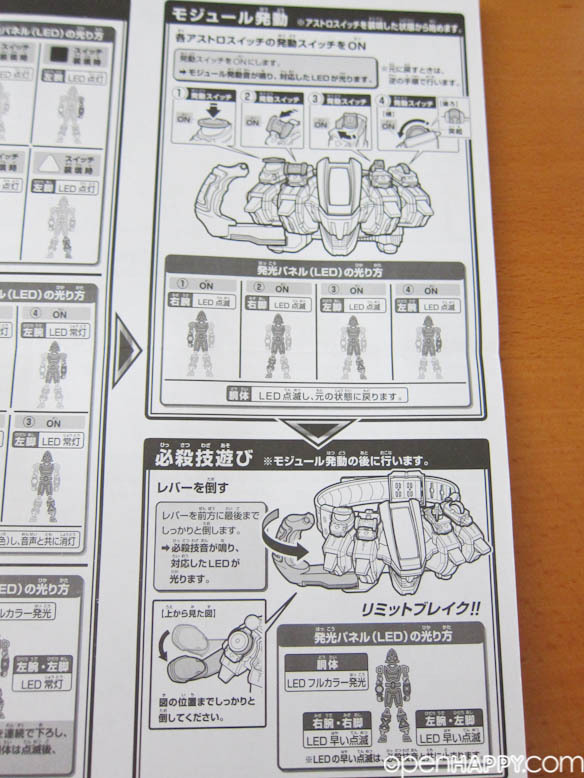 Requires three AAA (LR03) batteries. 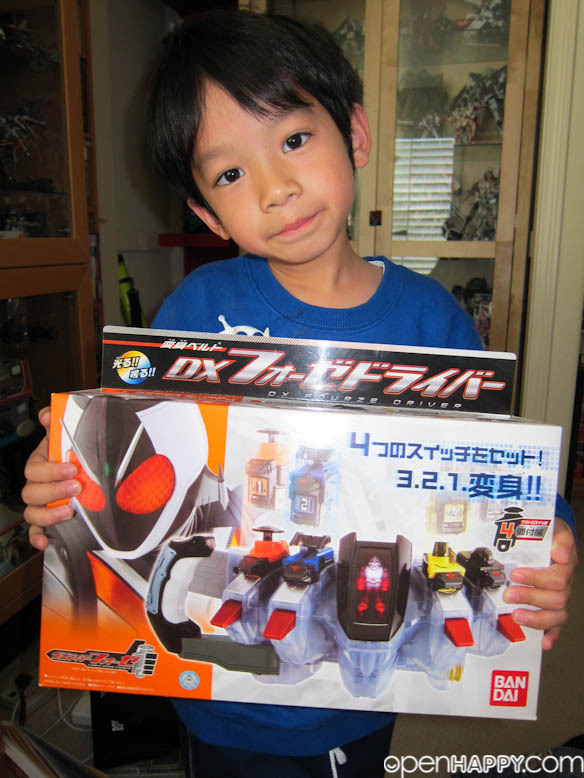 At this point, I can tell you DX belt is not really a kid item any more. 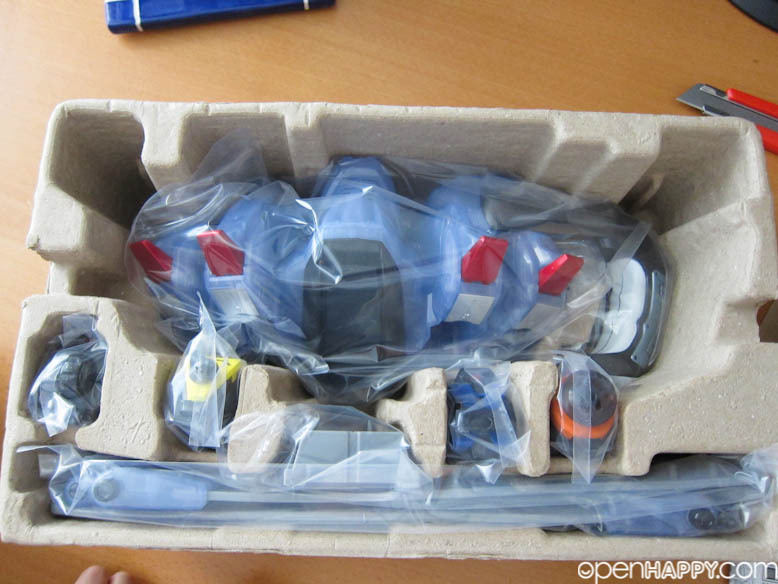 Well, at least not for kids that don't have parents who are will to come up with around 100 USD for a toy. 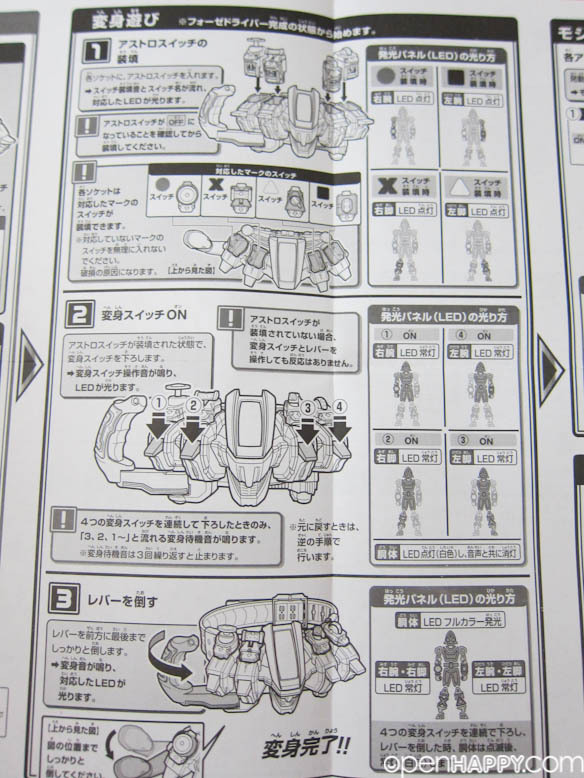 I wish they are cheaper, so many people can have chances to play them. 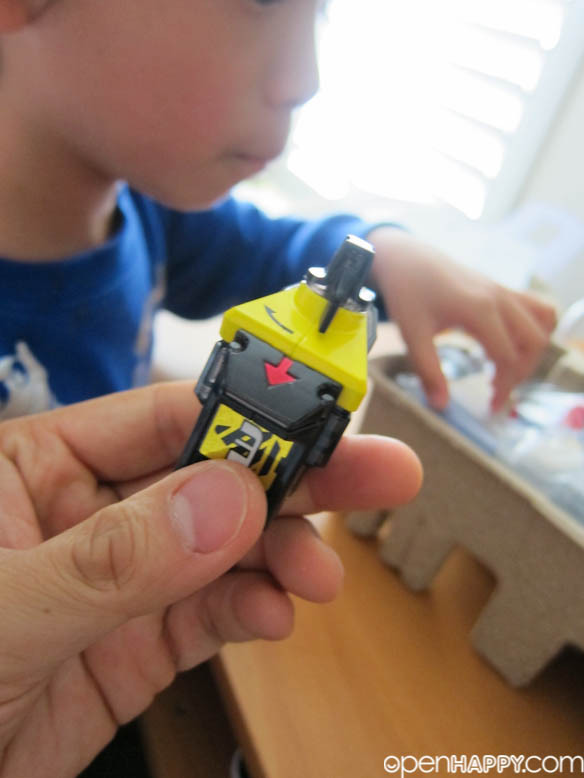 The toy is really well design. 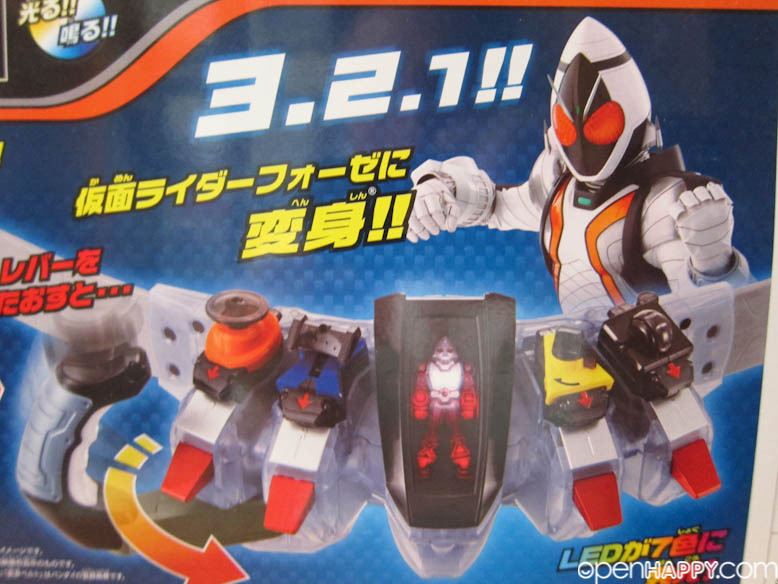 The base of each switch is different, so only a set of certain switches will fit in a particular slot. 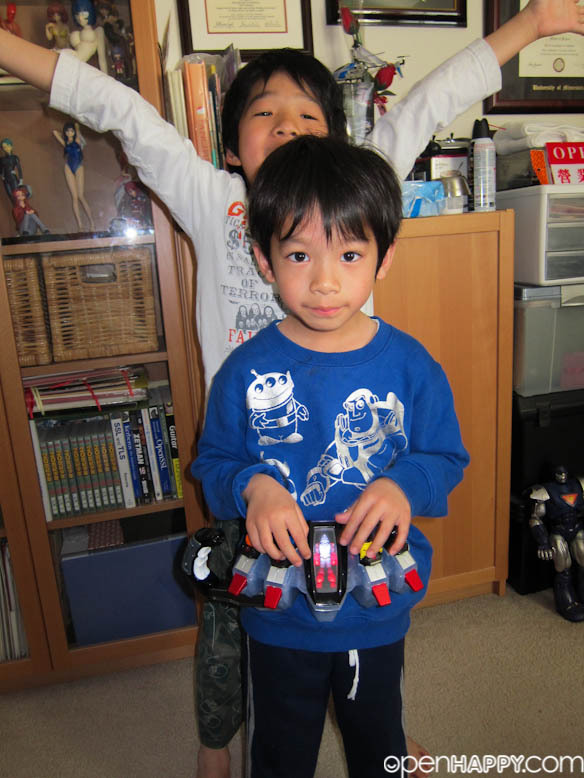 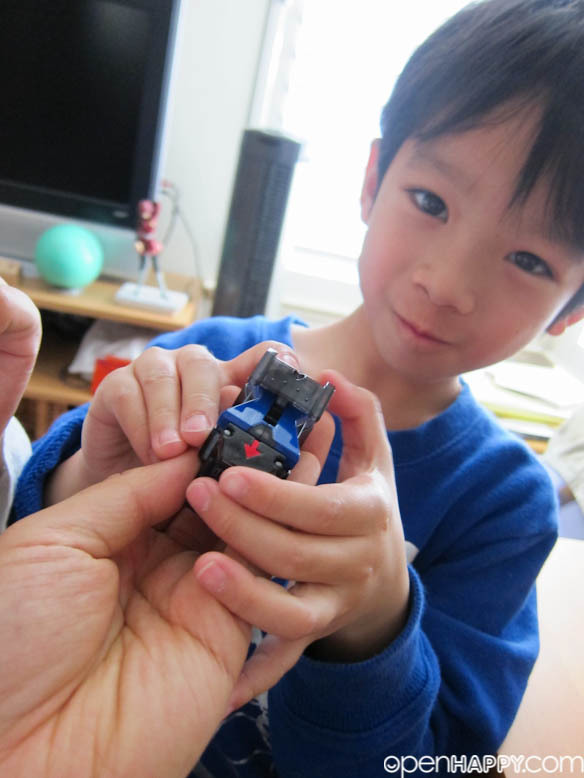 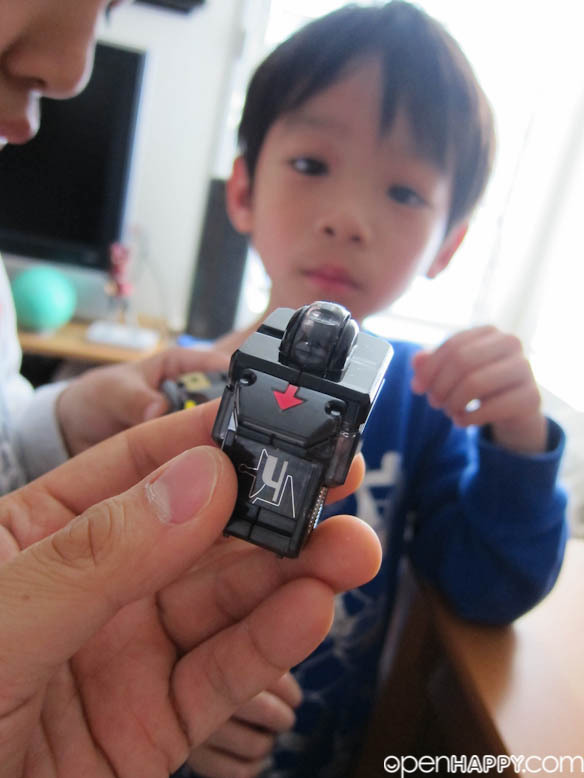 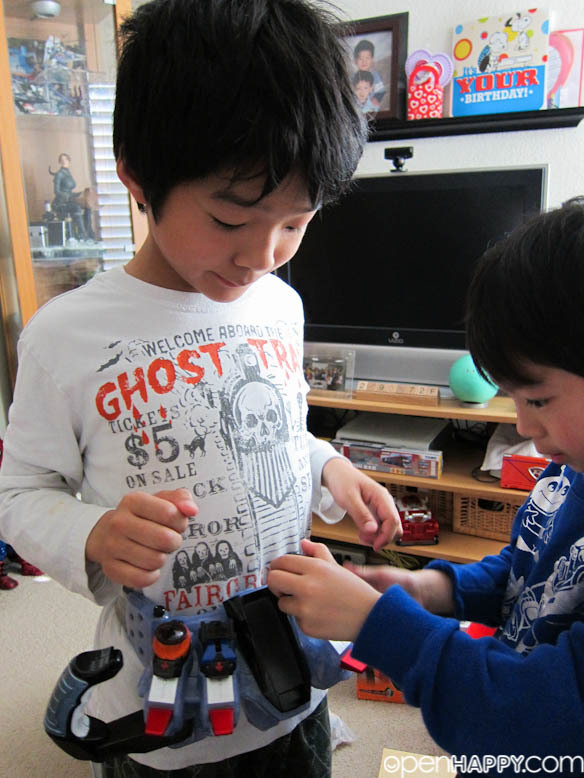 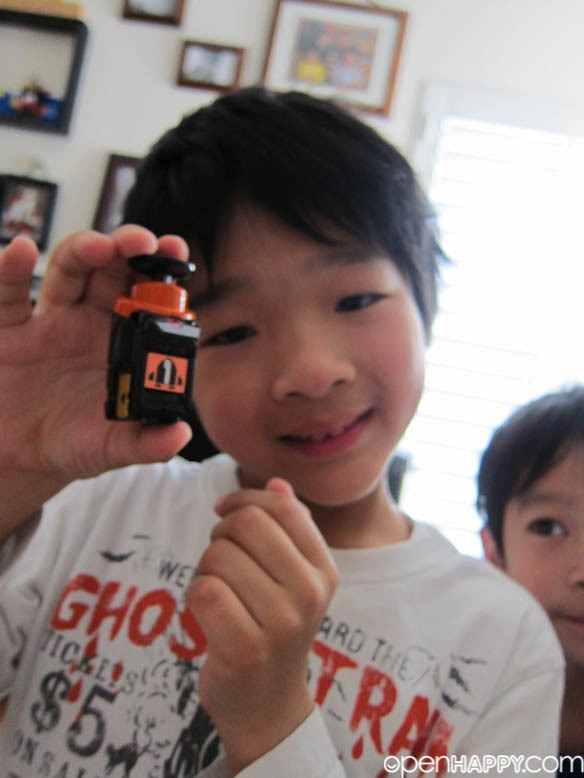 So, the kids have to work on it a little bit before they can "change" or henshin. 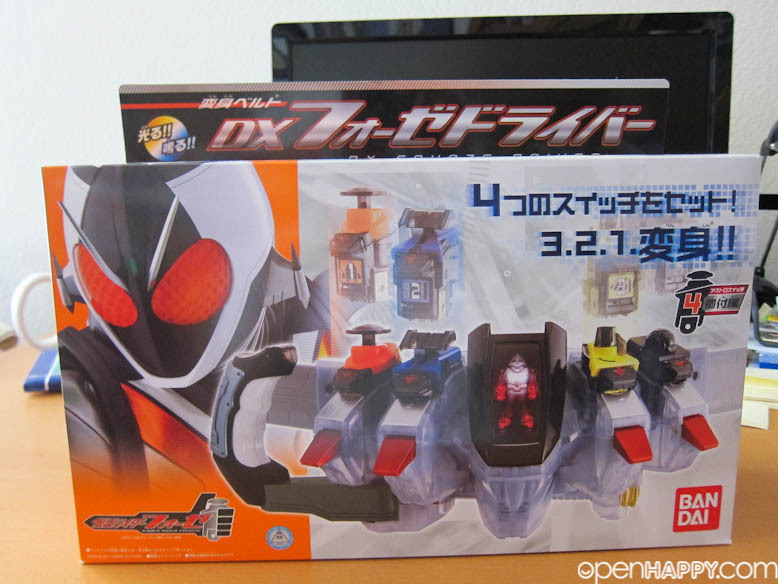 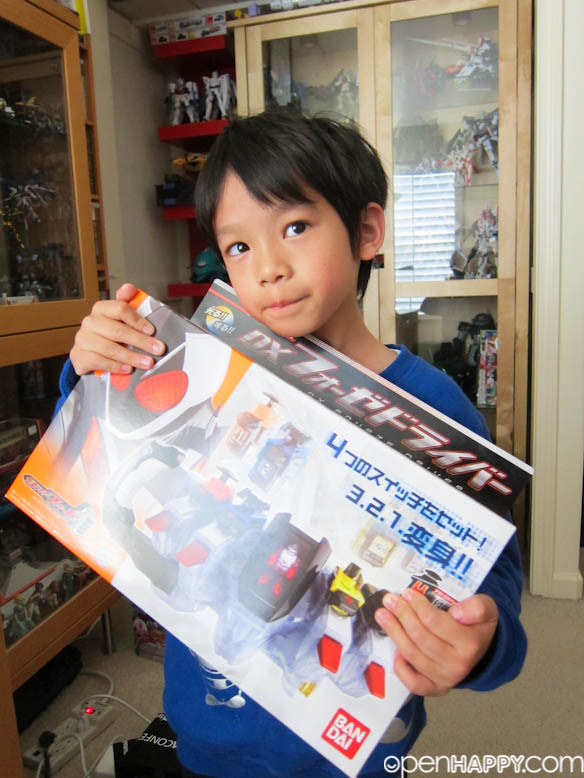 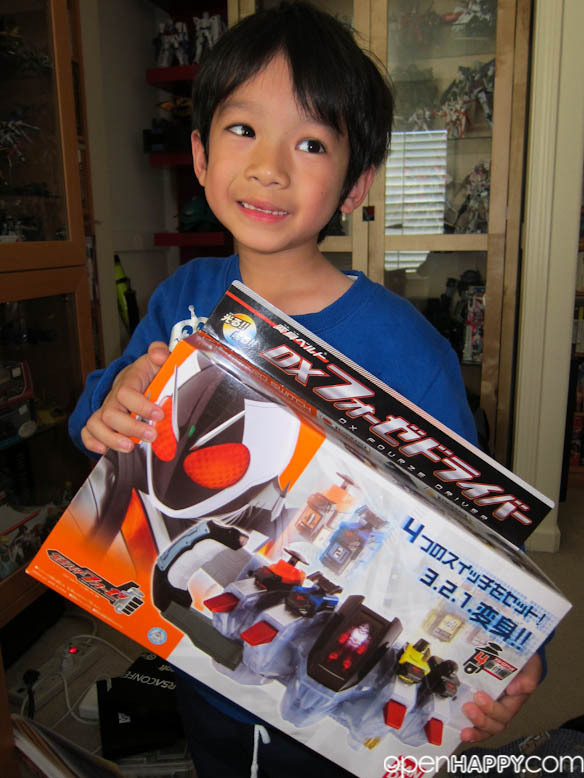 This one will be in my room, since the little one already has three other henshin belts. 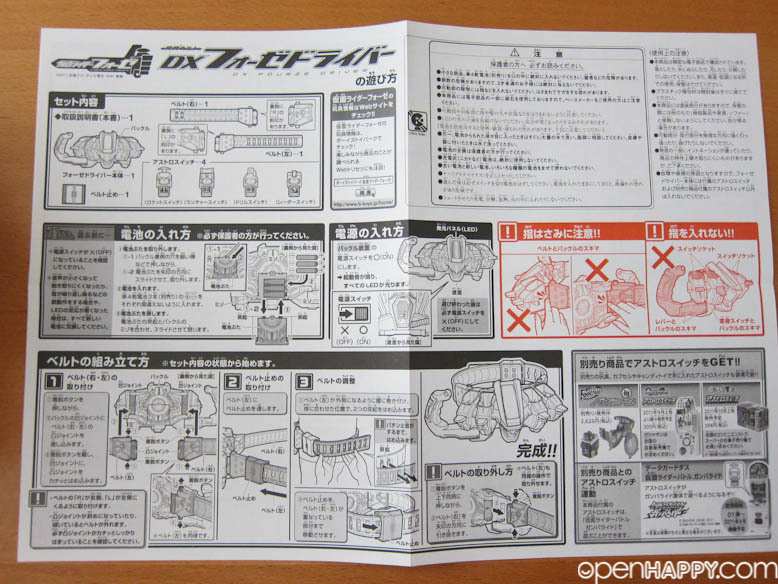 Here is the instruction. 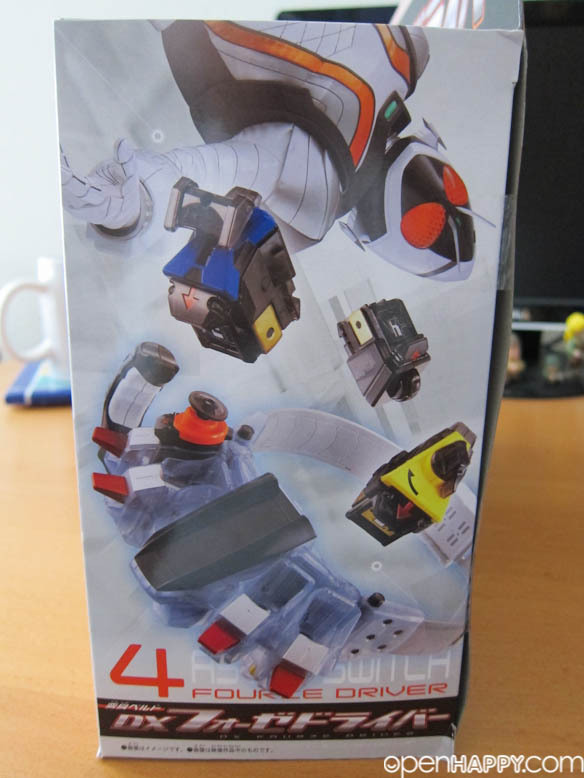 Any (from the choice of 40) switch will make a unique sound that matches what the show has. 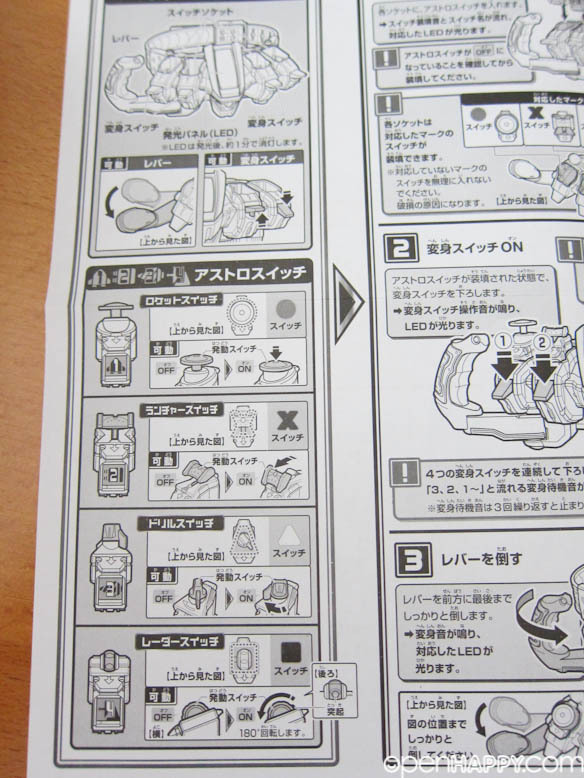 Things are nicely packed inside. 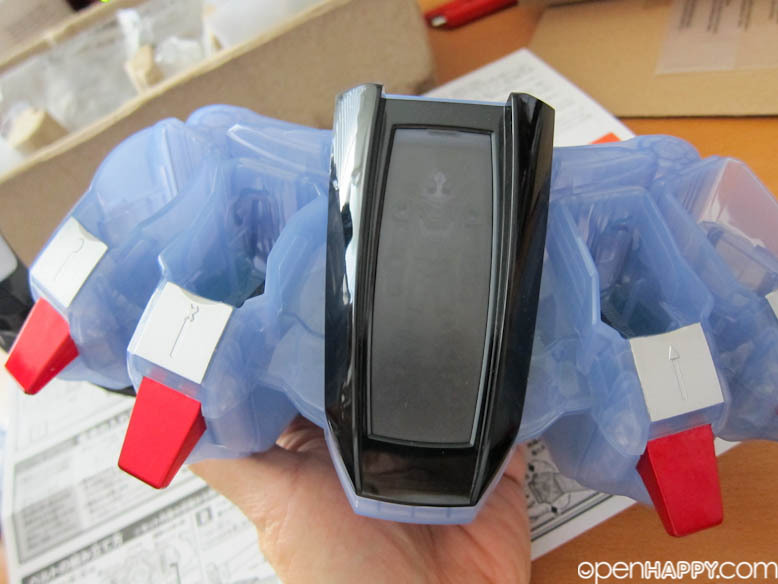 Each switch has different way of turning on and off just like it is in the show. 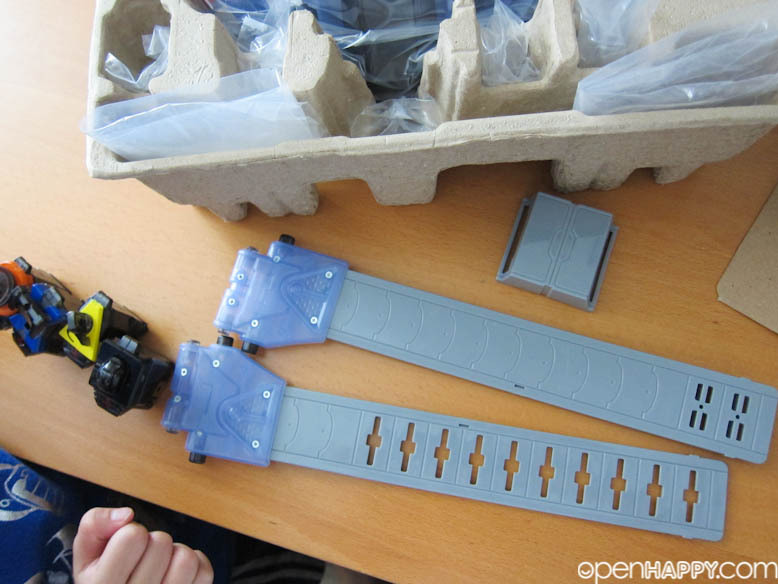 The belt is really well built. 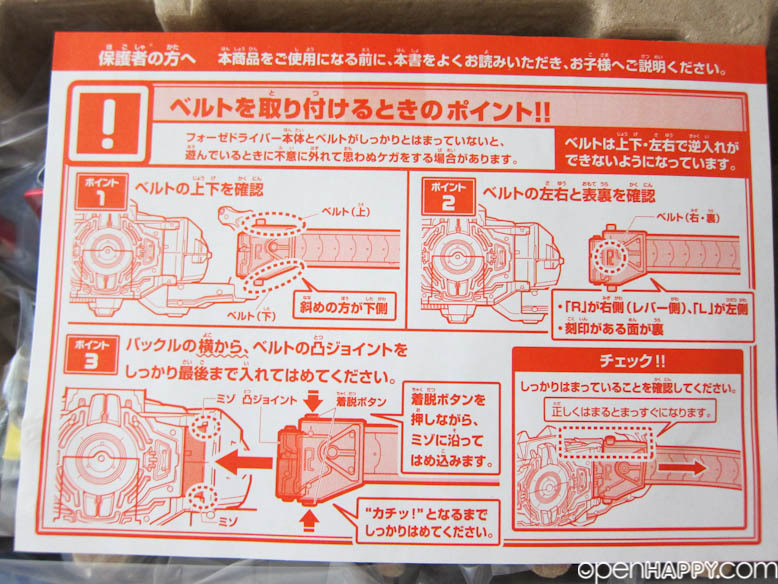 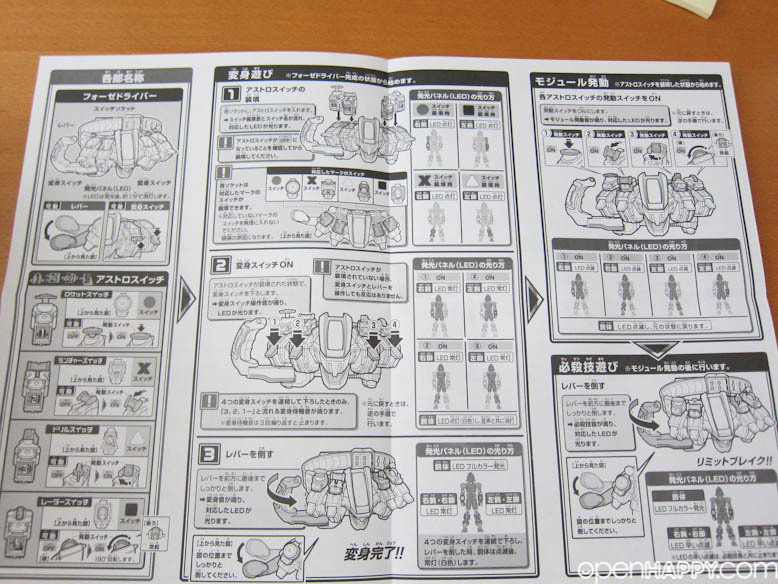 The center part also light up and make sounds when you henshin or change switch.